The home building industry has been through significant changes and advancements in the last couple of years. Just a few years back, we at ICFhome.ca – new homes builders in Ontario were bent upon erecting as many houses as possible, and house sales, well, it would be safe to say that they were at an all-time high! The last thing on a home builder’s or home owner’s mind was that of energy costs and efficiency – life was good. The reason this much-distorted view of the economic environment came up was because just about anyone who wished to purchase a new home had the potential to get in touch with a mortgage company, and acquire a no money down a low-interest loan to be able to buy their dream home. There wasn’t a thing that mattered to the lenders, which in turn gave them the potential to hand out loans without a worry. However, there were significant changes that came up in the economy in 2008, which in turn made the housing industry crash and burn. The good times were a thing of the past, and the resultant economic disaster destroyed things for home builders and borrowers equally. Countless individuals all over the country lost their jobs for the simple reason that many well-established companies that had continually thrived started closing their doors for good. To be honest, this particular disaster had a substantial impact on the ways in which people perceived energy and material efficiency in housing. Because of this change in attitude, it became necessary for construction companies to adapt to this new business environment. Amongst the many different changes that came up in the housing market, one was that of a rising interest in ‘green housing’. This building concept is focused on the utilization of methods and materials for building purposes that are material and energy efficient. The adoption of green building technologies brought about a significant impact on the business. Believe it or not, but back in the year 2012, green housing constituted nearly 3% of all constructions by all new homes built in Ontario. Eventually, these changes began being instituted in standard practices of housing developments so that any and all consumer demands could be met. With the passage of time, the economy improved a tad bit, and banks started loosening their restrictions, which is a change that has mostly been appreciated by new home builders. Now, the focus upon the insulation values of materials being utilized for construction purposes is one the rise, with consumers now being more interested in taking steps to minimize energy loss. Moreover, there’s a whole lot more emphasis on the sorts of appliances that used in new construction. For this reason, new homes builders Ontario have started making use of Energy Star rated appliances. 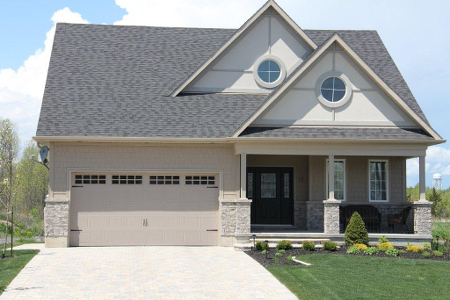 On the whole, with a few ups and downs, the building and construction industry has continually progressed, and hopes are that the efforts being put in by new home builders in Ontario will add to its advancements.